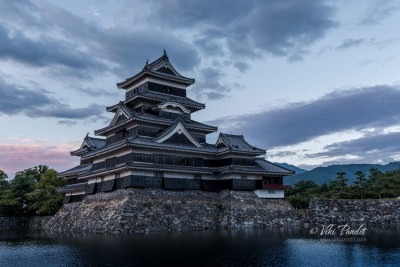 Today we visit the Matsumoto Castle, one of four castles designated as ‘National Treasures’ of Japan with over 400 years of history. 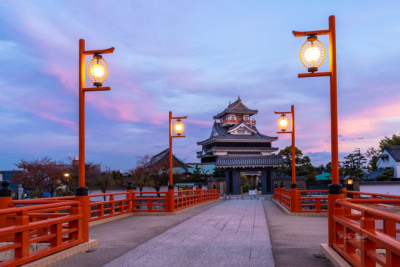 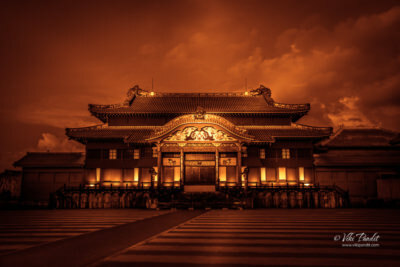 With the Japanese Alps in the the background and a red bridge connecting the surrounding moat, it is one of the most picturesque castles in all of Japan. 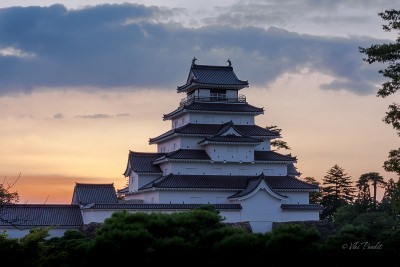 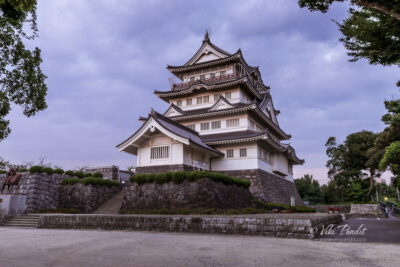 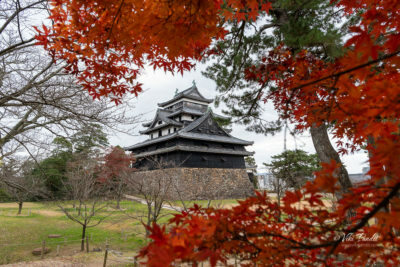 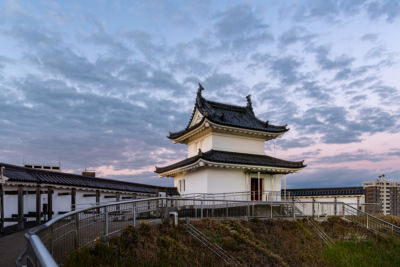 Matsue Castle is one of the few remaining medieval castles in Japan in their original wooden form. 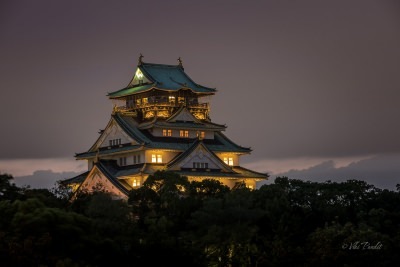 It is also known as the black castle due to its dark color. 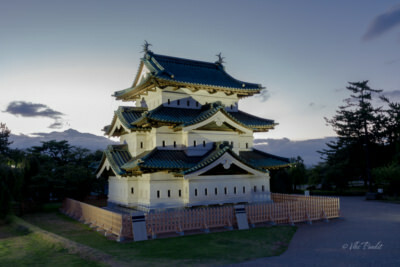 The castle is located near Lake Shinji, surrounded by many canals where tourists can take a memorable boat ride.